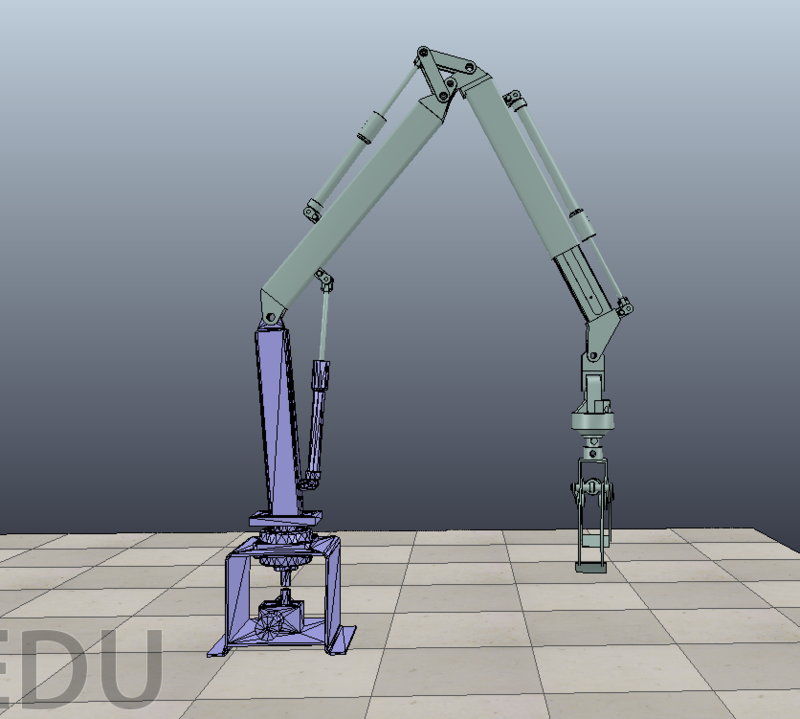 I am making a simulation of the robot shown in the pictures above. While creating a dynamic model I encountered a problem. As you can see, the second link is actuated by prismatic joint (Joint2). 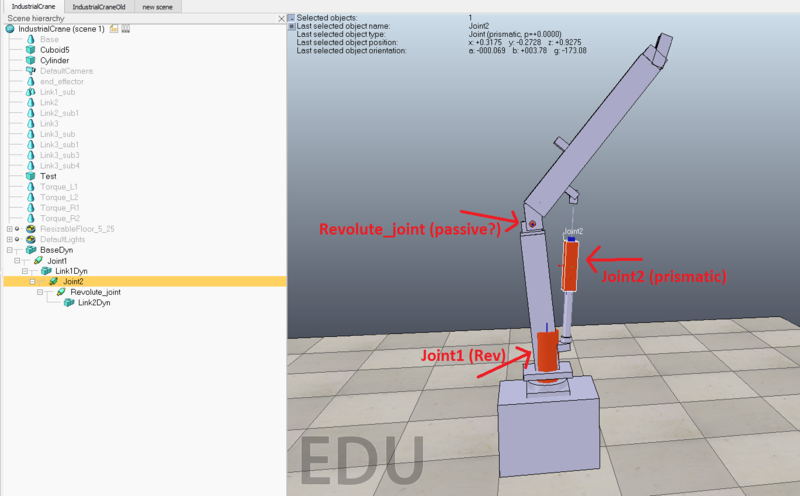 However, it seems that I need to add extra revolute joint (Revolute_joint) to constrain second link motion properly. I have tried to link these joint with Link2 in different ways and enabling various joint modes (passive/torque etc). But I still could not able to achieve desired result. My initial idea was to make both joints as a parent for Link2 in hierarchy tree, but as I found it is not possible to have 2 parents for one child. What would be the best way to resolve this issue, or is there any possible workaround? It appears you want to create a parallel kinematic chain. Have a look at this and this. you need to create a loop closure. Have a look here. Have also a look at this example scene.